Have you heard of HONESTBEE? Honestly, I haven't either but I think it's good news that the same successful delivery service that has been used in other Asian cities such as Singapore, Taipei, Hong Kong, Jakarta, Kuala Lumpur, Bangkok, Tokyo and a lot more. Their service include Concierge shopping which means getting well trained people to pick fresh produce, the best products in the grocery, the best clothes and even one of my most hated chore in the house, the laundry. For now, it's only available in certain areas in Metro Manila but what I'm so glad about is that it IS here. Their smart shoppers can actually call you back if in case something on your list runs out of stock and give you suggestions for replacements. They also have a mission to lessen middle men, have a farm to table kind of setup. 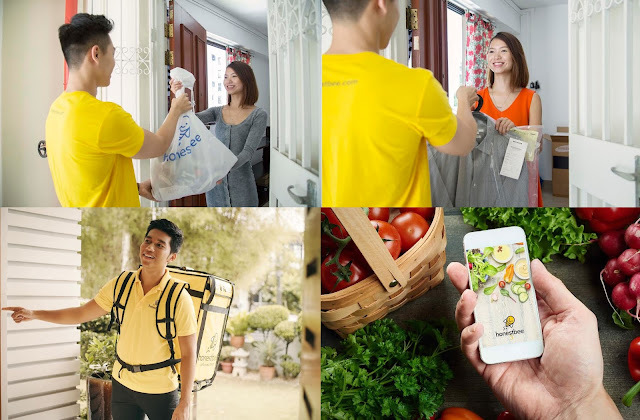 If you have read quite a few articles today in Singapore, there are already a lot of people availing this service as they are priced competitively, some even more affordable than what you see in grocery shops with the convenience of just staying at home or the office or wherever you want it delivered as long as it's within their service area. As of now, they've got the whole Robinsons Supermarket on their partner merchants. They also have AWC that offers wines and spirits, food specialty shops like FoodSource, Boozy for liquors, Fresh Options meat shop, The Straits Wine Company, Chicco Baby Products, Solo Meat Corp, Figures Of Beans Coffee Products, Harvestime Salads Frozen Berries and Fruits, Incredible India and even G Stuff who sells organic products so almost everything is there. All you have to do is download the app on Google Play or the App Store. They offer same day 1 hour delivery so this is totally convenient and won't be a hindrance in your schedules. The laundry service can get your clothes clean, pressed and folded then sent to your home after 3 days. Right now, I talked to their customer representatives (yes I emailed them) and they only cover the whole Makati and Ortigas Business District, Bonifacio Global City, Xavierville and Maginhawa in Quezon City. You can check by putting your address on the app or website and they can tell you if they can deliver. I'm raring to try it out very soon.